I picked up a new mirrorless camera, a Sony A6000, to supplement the A7 RII for some future situations. What better subject than the head cover for my driver? The new camera will accept all of my Sony and Nikon lenses, but the body is also compact enough to slip in a pocket....without the 70 - 200 mm zoom, of course. I'm impressed with the quality of this cropped sensor. Congrats on the new camera. I have a mirrorless Olympus and really like toting less weight around. Awesome photo of Godzilla! Super cool golf club cover! I laughed out loud! Great pic! I have that camera, and is the one I’m using now on this South America trip. Have been using the Sony 50-200, and wishing I had brought a wide angle lens! I was going to say nice Selfie Ron, until I read the description. @redy4et Thanks Elizabeth. Love those light mirrorless cameras. I know, however, that I will defeat the purpose by adding big ol' heavy lenses. @pcoulson Thanks Peter. It will be interesting to see how the full frame lenses work with the cropped sensor. So far so good. @shannejw Thanks Shanne. Always fun to play with a new toy! @louannwarren Thanks Lou Ann. 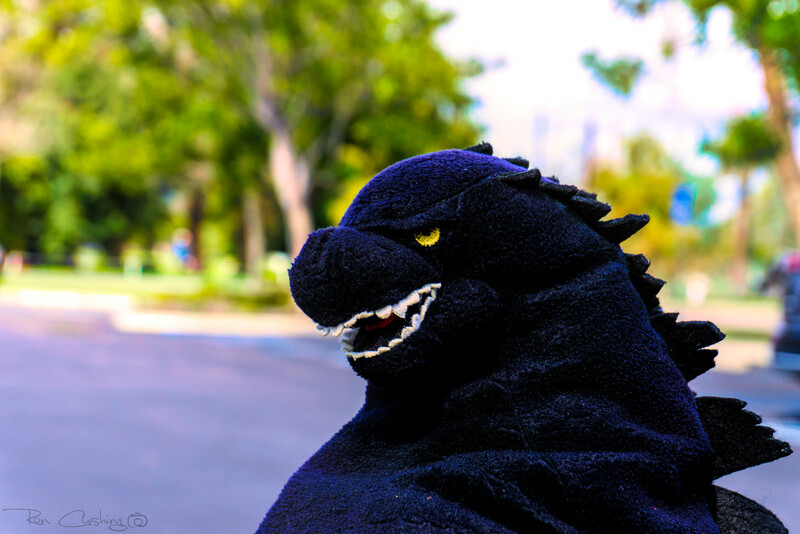 Yes, Godzilla gets a lot of looks and comments. Not commonly seen as I picked it up when I was in Tokyo. @mwhipple Your shots from your trip confirm that I made a great decision! One of my plans for this camera is to take landscape shots, so I'm definitely planning on a wide angle lens. Will B&H deliver to the ship?